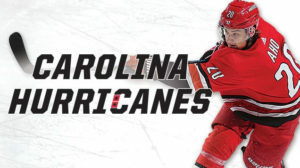 The Carolina Hurricanes are the only National Hockey League team from the Carolinas. Since joining the league in 1971, the team has only been able to win the Stanley Cup once in 2006. However, in the years since that wonderful year, the side has failed to make any real impact in the league leading to some massive changes in management. On this page, we have a look at the odds, standings and upcoming fixtures related to the Carolina Hurricanes. The Carolina Hurricanes started off as the New England Whalers when they were first formed in 1971. When the team moved to North Carolina in 1997, they were rebranded as the Carolina Hurricanes. During the 40 plus years that the side has been part of the NHL, it has only seen one Stanley Cup victory, two Conference Championship titles and three Division Championship titles. Since their 2006 Stanley Cup victory, the Hurricanes haven’t really been considered as a real contender for the title. In fact, the team actually went through an eight-year slump in which they consistently failed to make it to the playoffs. In 2018, a new general manager in the form of Don Waddell was hired, which ‘Canes fans are hoping will help the team get out of its ongoing post-championship slump. Bettors will find that as a result of the Carolina Hurricanes’ terrible performance over the last decade, the team has not really been given good odds to win anything in recent years. Basically, we’re saying that if you should decide to place a future bet on the ‘Canes and they land up winning the Stanley Cup, you’re going to be in for a handsome payday.